Getty/Michael KovacSnapchat CEO Evan Spiegel speaks onstage during ‘Disrupting Information and Communication’ at the Vanity Fair New Establishment Summit at Yerba Buena Center for the Arts on October 8, 2014 in San Francisco, California. 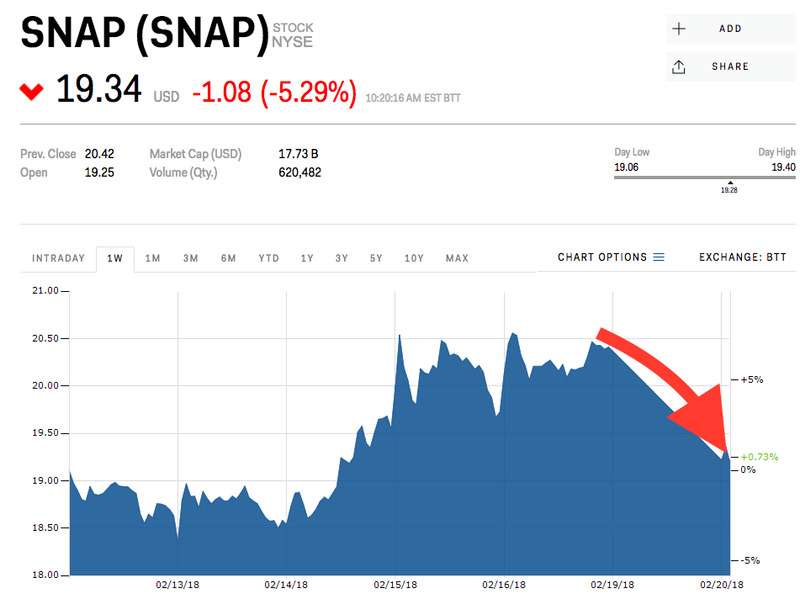 Snap fell as much as almost 6% Tuesday, hit by a one-two punch. 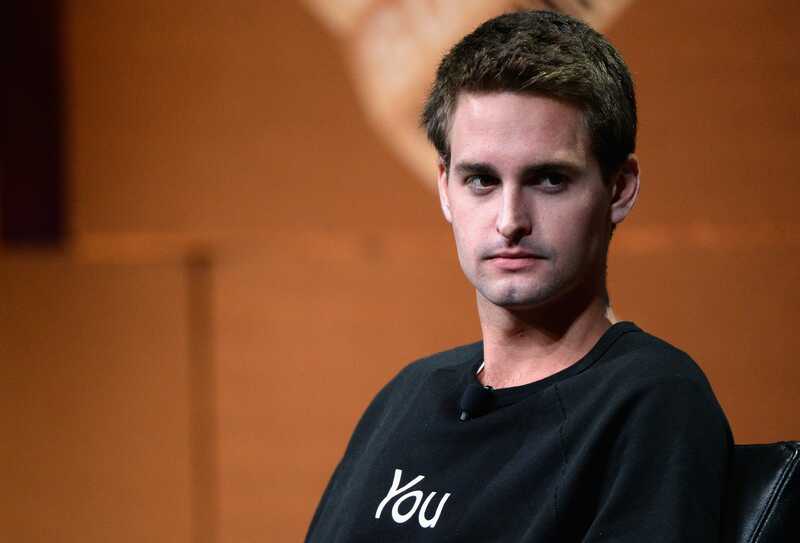 CEO Evan Spiegel sold $US50 million worth of shares on February 14th. Citigroup downgraded the stock, pointing to declining app reviews. 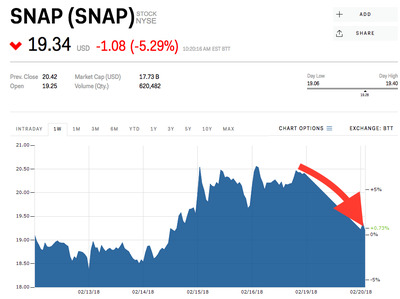 Snap fell as much as 6% Tuesday after Citigroup downgraded the stock to sell from neutral and lowered its price target to $US14 a share. While Citi acknowledged that the redesign could have a positive long-term impact on the photo-sharing company, it cited an app review from App Annie showing that, since November, Snap’s apps reviews have declined. Five star ratings went from 2.1% to 1.3% in that span, and one star ratings went from 28% to 86%. Tuesday’s selling may also be related to CEO Evan Spiegel selling $US50 million worth of shares, or about 1% of his holdings, last week. The share-sale was his first since Snap went public a year ago. Spiegel still maintains about a 10% stake, and has a total fortune of $US4.5 billion.